Anti-Christian sceptics often denounce the Bible as teaching a faulty cosmology. One example is the assertion that the Hebrew word רקיע rāqîa‘, or ‘firmament’ in the KJV, denotes a solid dome over the earth, so that the Bible is guilty of scientific error. Such enemies of the Gospel have an ally in the professing evangelical Paul H. Seely, who maintains that both the social background data and the text of the Bible itself support this conclusion. Seely’s conclusion is both presumptuous and untenable, and he fails to recognize that the description of the rāqîa‘ is so equivocal and lacking in detail that one can only read a solid sky into the text by assuming that it is there in the first place. One can, however, justifiably understand Genesis to be in harmony with what we presently know about the nature of the heavens. More recently, the enemies of Christ have acquired an ally in the professing evangelical Paul H. Seely, who has also claimed that the Bible makes scientific errors. In giving ammunition to sceptics and others who want to destroy the Bible, thus feeding into the world system and giving it comfort, in some ways Seely is more dangerous to Christians than atheists. Although his papers are not cited in any Bible commentary I could find at the Reformed Theological Seminary at Orlando, Florida, his views seem to be beloved of Christians who desire to compromise the plain teachings of Scripture with the man-made theories of evolution and billions of years. Therefore this article is justified as pulling out this tree of misinformation by its roots. First, it is possible that what Seely says is correct. The terms given in Genesis had only one possible meaning and no other, and Genesis was written, even under inspiration as Seely professes to believe, with this basic error in thought preserved. 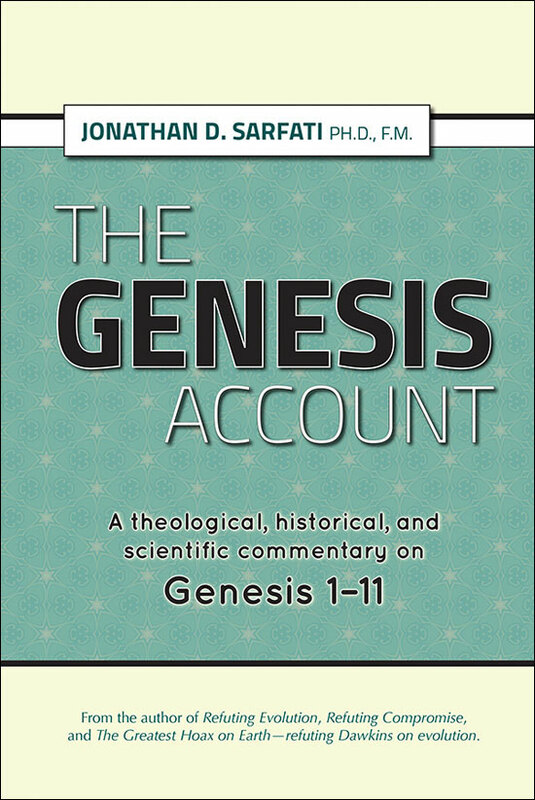 Second, it is possible that the Genesis account was written before any of the erroneous cosmological theories of solid skies that Seely lists. 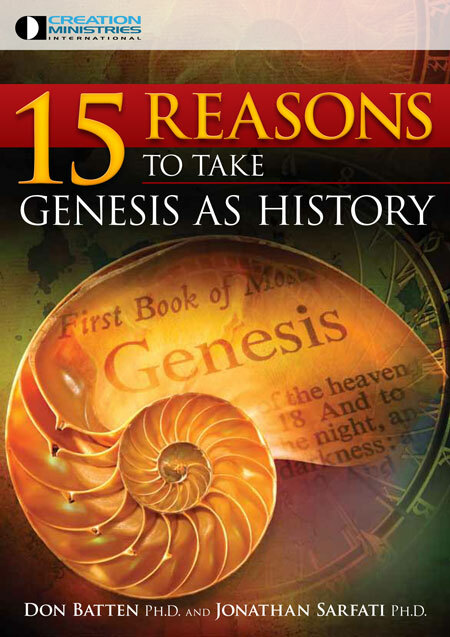 It is not an uncommon suggestion that Gen. 1–11 was founded in sources prior to Moses — some would say the story derives from Abraham; we may even suppose that it derived from the experiences of Adam. If this is so, and if we can show that the descriptions in Genesis 1 are compatible with our present-day observations of the natural world, then Seely’s entire argument collapses. All he has shown is that the Hebrews and all of those following misinterpreted the meaning of rāqîa‘ according to their own perceptions and derived from Genesis the idea of a solid sky. We may regard this solution as satisfactory, but a question mark remains in that we have no exact idea of the original composition date of Genesis 1. Finally, there is a third option. Truly enough, one can indeed read Genesis 1 and say that a solid sky is in mind. But one can also, with as much justification, read Genesis 1 and say rather that it comports exactly with what we know today of the atmosphere and the solar system, with or without adjustments made for phenomenological language, and this is because of the utterly equivocal nature of the language used in Genesis 1. As I know all too well, having spent several years confronting critics of the Bible,7 such ‘allowances’ as Seely asserts easily open the door to ridicule of the inspired Word, and the critics are correct to see such rationalizations as Seely’s as totally invalid. Rather than wave the white flag over inerrancy with this compromise over rāqîa‘, it is better served, under this third option, to realize that the inspired author of Genesis was allowed to use the only terms available to him in his language to describe natural phenomena, but was not allowed to offer anything more than the vaguest, most minimal descriptions of those phenomena, thereby leaving nearly everything unsaid about their exact nature. Genesis 1 was perfectly designed to allow that interpretation which accorded with actual fact, for it ‘says nothing more than that God created the sky or its constituent elements’ while remaining ‘completely silent’ about what those elements were.11 It only depended upon where one started: if one starts with the presumption of a solid sky, one will read into the text a solid sky. If one starts with a modern conception, the text, as we shall see, permits that as well. Put another way: if today we say ‘the sky is blue’ to a person who is a member of a ‘primitive’ society, and they happen to define the ‘sky’ as ‘the solid expanse over our head’, this does not make our original statement, ‘the sky is blue,’ in error. Their thought-concept is indeed in error, but our original statement is not—even if we both happen to use the same word, ‘sky’, to describe different concepts. So it is that God, using an inspired penman under the constraints of human language, did not err in Genesis. The cosmology has been kept so basic and equivocal that one must force certain meanings into the text and analyze what the writer ‘must have been thinking’ (as well as pay no attention to the fact that God, not man, is the ultimate author of the text) in order to find error. This phrase upon the face (surface) of the rāqîa‘ is important in that it implies that the rāqîa‘ was neither space nor atmosphere. For birds do not fly upon the surface or in front of space or air, but rather in space or air. The problem with this argument is that the claim that shamayim is ‘broader in meaning’ than rāqîa‘ in Genesis14 is simply groundless—the result of circular reasoning. In Genesis 1:8, the implication is that the rāqîa‘ has the name shamayim in an exact one-to-one correspondence, just as is the case for the ‘Earth’ and the ‘Seas’ when they are named (v. 10). There is no reason to see a broader meaning of shamayim than an exact equation with raqiya‘. In fact, Seely’s only reason for saying that shamayim and rāqîa‘ are not equal seems to be that it would result (because of verses like Deuteronomy 4:17, and other like Psalm 11:4) in the absurd conclusion that the birds fly or God sits enthroned ‘inside’ a solid structure! In other words, Seely has done precisely what Sailhamer has warned against: he has started with the idea of the solid sky, based on the views of ancient people, and forced onto the text divisions in the shamayim that are simply not specified, and in the case of Genesis 1, not even permitted, by the text. We therefore argue that rāqîa‘ is intended rather to refer to that which serves to ‘separate the earth from all that is beyond it’,15 (that is, what we call the atmosphere, and interstellar space) and that because no differentiation is made otherwise, there is no reason why Genesis can not be read to permit a description of the heavens and the natural order as we know it. What of the other verses cited? Psalm 19:6 says, ‘It rises at one end of the heavens and makes its circuit to the other; nothing is hidden from its heat’ (NIV). This occurs after one of only two uses of rāqîa‘ in the Psalms, in verse 1: ‘The heavens declare the glory of God; and the firmament showeth his handiwork’ (KJV).16 The poetic parallel of verse 1 strongly suggests that rāqîa‘ and shamayim are meant to be equal in some sense, and in that case this verse would be contrary to Seely’s argument. But without any specific definitions from the author of this Psalm, any argument is simply speculative. Psalm 19:6 offers support for neither Seely’s position nor my own. Psalm 148:4 says: ‘Praise Him, highest heavens, And the waters that are above the heavens!’ (NASB) No comparison is made to the rāqîa‘ at all, and we can hardly assume without any definition or comparison from the writer of this Psalm that the two were or were not in exact correspondence; much less can it be assumed that there is embedded in this passage all of the given assumptions about what the shamayim consists of. At the same time, that the Psalmist refers in this poetic genre to multiple heavens no more means a division in types of heavens than his reference to the ‘most High God’ (78:56) and a ‘lowest hell’ (86:13) means that he knew of a God lower than the highest one or of a hell higher than the lowest one! Like the previous verse from the Psalms, this verse supports no specific interpretation. Psalms 2:4, 11:4, and 139:8 all refer to God’s ‘location’ in heaven. It is difficult to see (especially since no explanation is offered) how these prove that there is some portion of shamayim that is ‘above’ the rāqîa‘. Not one of these verses speaks of the shamayim in reference to the rāqîa‘; nor do they make any kind of distinction between them. Psalms 8:8 and 79:2 both refer to ‘birds of the shamayim’, again, with no reference to the rāqîa‘. Moreover, the ‘birds of the shamayim’ are referred to in Gen. 1:26, a verse that Seely bypasses without comment! There is nothing in either of these verses, especially in light of Gen. 1:8 and 26, that in any way indicates that the two words refer to anything different within their contexts. Seely appears to make the differentiation only because to do otherwise would lead to an absurd conclusion. Genesis 1:7, read with wooden literalism, would suggest that the rāqîa‘ began at the very surface of the waters! I don’t think that even Seely would read a solid rāqîa‘ into that one—this is a reductio ad absurdum of Seely’s position. There is a flaw in this line of reasoning as well. Seely has asserted that the ‘air’ or ‘space’ which surrounds us is ‘intangible,’ and this is correct from a strictly phenomenal point of view. But in actuality, the ‘air’ and ‘space’ around and above us is not strictly ‘intangible’ at all. It is rather composed of gas molecules (oxygen, carbon dioxide, etc.) that are too small for us to feel or otherwise perceive unaided, and further out into space there is a wide variety of material such as spaceborne dust, gases, and so on. There is no reason why ‘made’ should be an inappropriate verb for the creation of such things, unless Seely can show elsewhere that creation of something similar required a different verb—and that he certainly cannot do, unless he has some hidden passages in the Old Testament up his sleeve. This is indeed a key problem for Seely’s thesis: he has no way of proving that rāqîa‘ would not also be used for the creation of something made of gas, dust, or liquid because he has no comparison points within the text of the Old Testament to offer. Now I am by no means asserting that the human writer of Genesis 1 had some knowledge of terrestrial gases or extraterrestrial objects; that is not the point. That author (and later readers) could very well have understood the rāqîa‘ as Seely supposes; but in being inspired to say that a rāqîa‘ was ‘made’, without saying anything about its nature, the word permits us today to recognize the rāqîa‘ for what it most likely is: An ‘expanse’ of terrestrial gases—or perhaps also extraterrestrial matter within our solar system or throughout space. A closer look at each of these word choices reveals them to be inadequate. The first word (revach) appears only twice in the OT, in Genesis 32 and in Esther 4:14, and in both cases carries the sense of an enlargement of a previous space or thing. In Esther it refers to the ‘space’ and deliverance given to the Jewish population! In Genesis it refers to the increasing of space between two droves of herd animals. One can readily see someone like Seely arguing that the use of this word would imply a space between a solid dome and the surface of the earth! It would not by itself serve for a space that reaches upward to an indefinite or infinite place, and at the very least has not been shown to be a better choice than rāqîa‘. The same criticism could be levelled against the second word, rachowq, which in Joshua 3:4 does not describe space between two bodies of water, but the space needed between the people and the Ark of the Covenant. It is used in the OT in the sense of describing distance in time, space, and even value, but even so is made in reference to the distance between two specific points, and therefore does not serve at all for an infinite or indefinite upward reach, and again, at the very least has not been shown to be a better choice than rāqîa‘. Ruwach (wind) is the word that is actually used in reference to two bodies of water: it is the force that divided the Red Sea. It is used throughout the OT to describe the meteorological force of wind, breath (inhaling or exhaling), and also a ‘spirit’. This word would hardly serve to describe an infinite/indefinite expanse above the earth. Its main focus seems to be movement: note that when the two words ruwach and shamayim are used in tandem in ‘meteorological’ contexts, the indication is that ruwach is a phenomenon of the shamayim (1 Kings 18:45; Jer. 49:36; Dan. 8:8; Zech. 2:6). There is clearly a distinction in the words that would make ruwach an inappropriate choice to describe the heavens themselves. The last word (neshamah) is Seely’s most absurd selection. It is used in the OT in the sense of one’s life-breath, spirit or soul. If the rāqîa‘ could have been called a soul or a spirit, or a life-breath, then whom does it enliven, and who breathed it out? This term might have been useful under the rubric of a New Age ‘Gaia’ theology, but it would not make a great deal of sense in the context of Genesis! There are plenty of ‘clear reasons’ to make the differentiation, the most obvious being that there is no indication at all that Ezekiel considered this rāqîa‘ to be identical with the one in Genesis—or perhaps, there was no faulty inspiration given to him which identified one with the other. It is not described as the rāqîa‘ of shamayim, merely as a rāqîa‘, and there is no indication that a rāqîa‘ can only be made of something solid (as opposed to perhaps a gas or liquid—would Ezekiel have regarded this covering as a rāqîa‘ if it had been a soap bubble?). But the clinching reason to not equate the two is that to do so would also imply that cherubim were literally the sort of amalgamated zoo that Ezekiel describes—or that God had a solid, humanlike form and sat on a literal, physical throne! Surely Seely does not wish to imply that the visions granted to Ezekiel and to the elders of Israel depicted some sort of actual reality in the same way that our own world is a reality? Theologians are certainly correct to say that our own consciousness is unable to truly, fully comprehend what these creatures are like and what these visions represented; all of these things were rather conversions into forms that could be perceived by human senses. By God’s standard, they were crude and thoroughly inadequate constructs, but they served as the most that the minds of men could endure. It is therefore hazardous to suppose that the rāqîa‘ of Ezekiel and that implied in Exodus (24:10) may be used to interpret the rāqîa‘of Genesis 1 as a solid dome. In fact, this even applies if they are meant to be understood in correspondence. Theoretically, angelic and spiritual beings, which are ‘intangible’ to us, might regard what we consider to be ‘intangible’ as ‘liquid’ or ‘solid’. As long as we are uninformed as to these matters (and we will certainly remain so for quite some time!) it is foolish to judge these texts by our own perceptions and experiences and apply them to our own reality. In a second article, Seely goes a step further and attempts to show that the Genesis account teaches the existence of ‘a veritable sea located above’ the solid rāqîa‘.29 Now to begin this section, here is an analogy regarding the first of the Ten Plagues that will prove useful. We have a descriptive indication that the waters of the Nile were turned to ‘blood’, but we need not automatically believe that it was ‘blood’ in the sense of having erythrocytes, platelets, plasma, etc.30 By the same token, when Genesis speaks of ‘waters’ above the rāqîa‘, we are hardly to suppose that it was a substance universally composed of two parts hydrogen, one part oxygen. Nor for that matter can we suppose the distribution of these ‘waters’ was uniform above the rāqîa‘, although we do not doubt that some ancient peoples, including the Hebrews, reached that conclusion of their own accord. What, then, are these ‘waters’? We agree with Seely, against a number of commentators, that these are not clouds.31 Rather, it is our suggestion that these ‘waters’ were the originally-created, basic building blocks of matter that the earth was made from, and otherwise became all that was created outside of our atmosphere and/or our solar system.32 We would hardly expect the author of Genesis to make distinctions between things like stellar matter, methane gas, asteroids, comets, etc. A simple elemental term, ‘waters,’ would be sufficient, especially in light of the fact that these same waters were made into ‘Seas’ below the rāqîa‘, and even so after the primordial ‘waters’ had been coalesced into different forms. The term ‘waters’ would serve in the minds of the pre-scientific just as ‘blood’ stood for whatever actual substance the Nile became. This works well as long as it is assumed proven that rāqîa‘ and shamayim are not equal in the mind of the Genesis writer, but as we have shown, this is not proven at all. This water that came from above could have come from any point in the expanse. It is not my place here to offer any speculations on the mechanisms of the Flood, but it is worth noting that this term ‘floodgates of heaven’ is used elsewhere in the OT in the context of heavy rain (2 Kings 7:2, 19; Mal. 3:10). Perhaps the ancient readers of this text did envision a solid dome with an ocean above it, but if so, they read things into the inspired and equivocal language of the text every bit as much as Seely or I have. Theologians of a liberal persuasion have often claimed that the idea of special or propositional revelation is ‘nonsense’ because human language is inadequate to the task of communicating divine truths. This argument is deeply flawed, but it does contain a kernel of truth. Concepts of which human beings are thoroughly ignorant, and would require several steps of scientific exploration to understand, are merely simple matters in the mind of God. To the Hebrews and other ‘scientifically naive’ peoples, basic cosmology was still in this realm. But it was not beyond God’s ability to present the truth without any mix of error. Equivocal language, terms left precisely undefined, served until such time as our own understanding was sufficient to comprehend the wonders of God’s creation. It is singularly unfortunate that men of ancient times and even up unto the present day have imposed their own concepts of what is true upon the Word of God. I analyse the usual ‘proof texts’ found in sceptical websites and show that the sceptics have grossly twisted them, in Holding, J.P., What Shape is the Earth In? 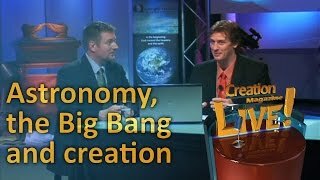 An Evaluation of Biblical Cosmology. Return to text. P.H. Seely, The firmament and the water above. Part I: The meaning of raqiya‘ in Gen. 1:6–8, Westminster Theological Journal 53:227–240, 1991. Return to text. I adhere to the thesis of Mosaic composition of the Pentateuch; however, I do not believe that this excludes the possibility that a good part of Genesis, particularly chapters 1–11, derived from pre-Mosaic sources which were incorporated into Moses’ own work. This was argued cogently by Wiseman, P.J., ed. Wiseman, D.J., Clues to Creation in Genesis, Marshall, Morgan & Scott, 1977, Part 1; see also Grigg, R.M., Did Moses really write Genesis? Creation 20(4):43–46, 1998. Hence for the purposes of this paper I will leave the question of the immediate authorship of Genesis 1 indeterminate. Return to text. Seely, Ref. 2, p. 234. Return to text. Seely, P.H., The firmament and the water above. Part II: The Meaning of ‘the water above the firmament’ in Gen. 1:6–8, Westminster Theological Journal 54:31–46, 1992. Return to text. 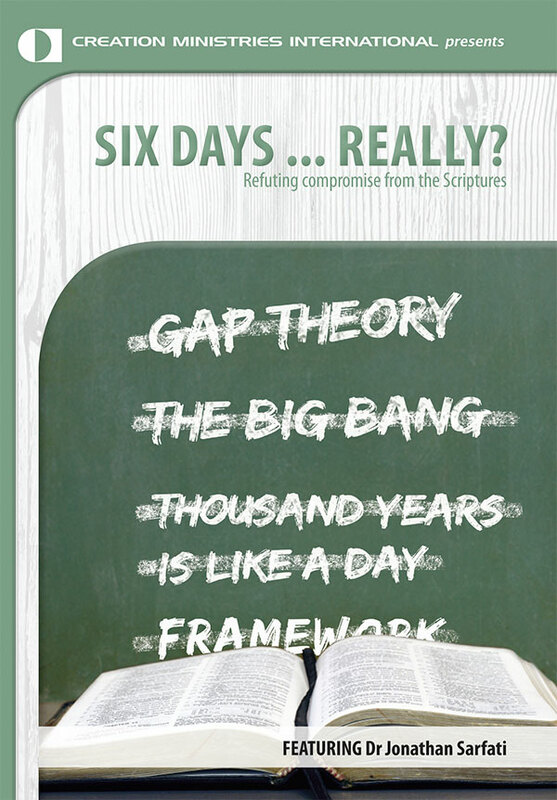 These and other important issues relating to biblical inerrancy are well covered in Geisler, N.L. and Nix, Wm. E., A General Introduction to the Bible, Moody Press, Chicago, revised and expanded, pp. 62–64, 1986. They give the example of a mother telling her four-year-old: ‘you grew inside my tummy’—this is not false, but language simplified to the child’s level. ‘Tummy’ is equivocal language—it can mean ‘stomach’ or anything within the abdominal cavity. Conversely, ‘the stork brought you’ is an outright error. Return to text. 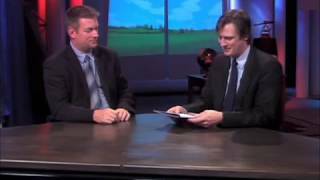 Holding, J.P., Answering a List of Biblical Contradictions. Return to text. Spong, J.S., Living in Sin? A Bishop Rethinks Human Sexuality, Harper San Francisco, San Francisco, CA, 1984. For a comprehensive critique, see Bott, M.R. and Sarfati, J.D., What’s wrong with Bishop Spong?, Apologia 4(1):3–27, 1995. Return to text. Bergman, J., Creationism and the problem of homosexual behaviour, Journal of Creation 9(1):121–130, 1995. Return to text. Aalders, G.Ch., Genesis Vol. 1, Zondervan, Grand Rapids, MI, p. 61, 1981. Return to text. Sailhamer, J.H., The Pentateuch as Narrative, Zondervan, Grand Rapids, MI, p. 89, 1992. Return to text. Seely, Ref. 2, p. 237. Return to text. A further assumption is that the author of Genesis 1 holds exactly the same cosmological view as the author(s) of the cited Psalms, and uses the same terms in exactly the same way. The lack of precision in meaning might be ascribed to the looser constraints of poetic narrative. Return to text. Young, E.J., Studies in Genesis One, Presbyterian and Reformed Publishing, New Jersey, p. 90, 1973. Return to text. The only other verse in Psalms that uses rāqîa‘ is 150:1. Seely offers no analysis of this verse, but we might suggest that any ‘sanctuary’ of God would not be limited, in the context of praising God for His power, to a mere solid dome—regardless of how large it is. Return to text. Matthews, K.A., Genesis 1–11:26, Broadman and Holman, Nashville, TN, pp. 150, 154, 1996. Return to text. 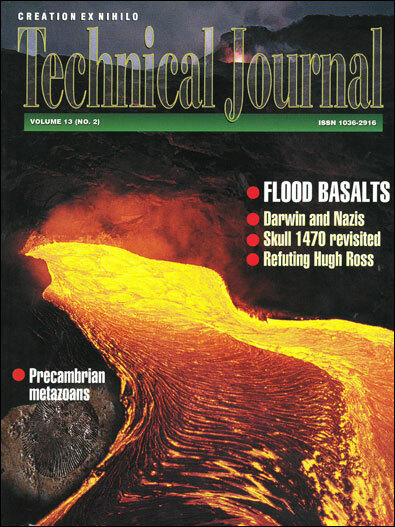 Wenham, G.J., Genesis 1–15, Word Books, Waco, TX, p. 24, 1987. Return to text. See Matthews, Ref. 17, pp. 154–5: The creation of the stars is ‘treated almost as an aside … as if a mere afterthought’; Young, Ref. 15, p. 94: ‘appears almost as an afterthought’; Wenham, Ref. 18, p. 21: ‘almost as an afterthought’. Return to text. At least, this is left unsaid as far as Genesis 1 is concerned. Other verses indicate that the stars are in (‘of’) the shamayim, but may indicate a later and less precise (or more phenomenological) cosmology. Return to text. The Hebrew word kowkab did not make any distinction between what we now call ‘stars’ and planets, so that it might be objected that at least some of the kowkabim ought to have been said to be within the confines of the rāqîa‘ if my ‘solar system’ idea is correct. 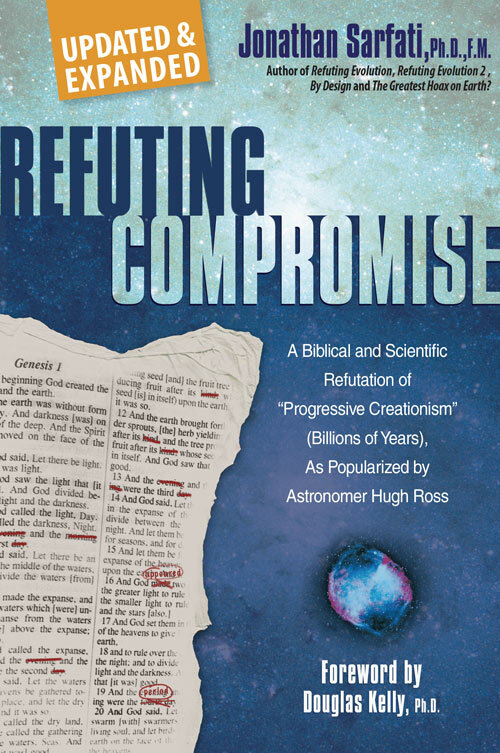 But I see no reason why, if Genesis is indeed less concerned with cosmology than with pointing to God as the Creator, anyone should tender this objection. A second diversion explaining that some kowkabim were in the rāqîa‘ while others were not would have caused needless confusion to ancient readers who would not have had any possible reference point to understand the concept. Return to text. Matthews, Ref., 17, p. 154–155, writes that the description of the celestial placements presupposes a human view: ‘The narrative stresses their function as servants, subordinate to the interests of the earth.’ Return to text. Aalders, Ref. 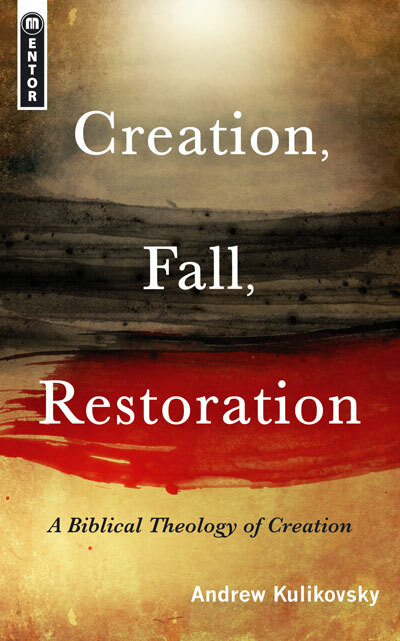 11, p. 65, notes that Genesis ‘says nothing about precisely where these heavenly bodies are located, and what their relationship is to each other and to the earth.’ Return to text. Seely, Ref. 2, pp. 237–8. Return to text. An equation of rāqîa‘ with atmosphere, or with atmosphere plus miscellaneous spaceborne matter, comports well with descriptions in the OT elsewhere of the shamayim comparing it to a scroll, a curtain, or a tent. Return to text. Seely, Ref. 5, p. 31. Return to text. It is typical to make the suggestion that the ‘blood’ was actually some sort of algal bloom (‘red tide’), or perhaps silt and mud from further up the Nile. Return to text. Seely, Ref. 5, p. 37ff. Return to text. The physicist Dr Russell Humphreys has proposed that the heavenly bodies were created out of water, and this has successfully predicted their observed magnetic fields far better than evolutionary models. See Humphreys, D.R., The Creation of Planetary Magnetic Fields, CRSQ 21(3):140–149, 1984; Good news from Neptune: The Voyager 2 magnetic measurements, CRSQ 27(1):140–149, 1990; and Sarfati, J.D., The Earth’s magnetic field: Evidence that the earth is young, Creation 20(2):15–17, 1998. Return to text. Seely, Ref. 5, p. 34. Return to text. Seely, Ref. 5, p. 44. Return to text.